After another week of the usual nonsense, can we please get rid of Greg Schiano once and for all? 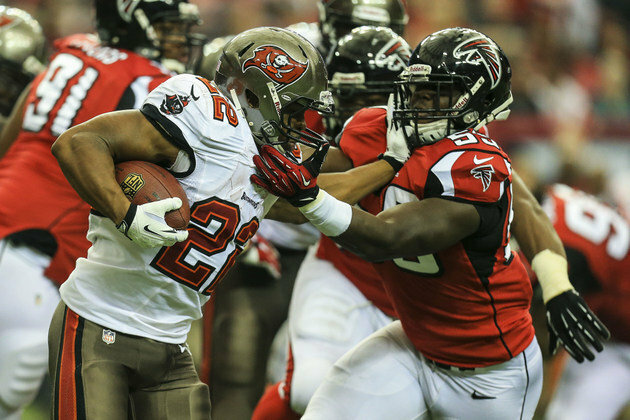 The Bucs lost to the Falcons on Sunday, 31-20. The game wasn’t much different than what we’ve seen all season long: bad coaching, bad play-calling and too many penalties due to a lack of discipline. At some point, the head coach has to take the fall for this mess. There is one moment I want to focus on: it came in the fourth quarter, with the Bucs trailing by 14 – i.e. two scores. A long drive led to first-and-goal from the 5. Two penalties later, they faced 4th and goal from the 23. Schiano elected to kick a field goal. That accomplished nothing; you’re still down by two scores. Why wouldn’t you go for it, even though you need 23 yards in one play? Yes, I know 4th and 23 is desperation time, but wasn’t Tampa Bay in a desperate situation already? It was a mind-boggling decision that may not have mattered in the end, but we’ll never know. Mike Glennon threw a couple of TD passes to Vincent Jackson, but also lost a fumble that Atlanta returned for a score. Doug Martin got knocked out of the game trying to catch a pass down by the goal line. Schiano has now lost 12 of his last 13 games. He’s winless in 2013. The hot seat can only get so broil so much. Please ship this guy out of town A.S.A.P. Bucs Look Awful Again, and Schiano is Still the Coach?